The Cannes Film Festival has chosen to honor Agnès Varda for its 72nd edition. The director disappeared on March 29 appears on the poster perched on a technician impassive. After the kiss between Jean-Paul Belmondo and Anna Karina taken from Jean-Luc Godard's crazy film Pierrot , for the poster of last year, the Cannes Film Festival has chosen to honor Agnès Varda for that of its 72nd edition. "Agnes, in full light, at the top, in equilibrium, perched on an impassive technician, clinging to a camera that seems to absorb her, a 26-year-old woman shooting her first film", that's the description of this beautiful photograph illuminated by a bright orange horizon. This first film, Agnès Varda, disappeared on March 29 at the age of 90, realized it in 1954 at 25 years old. "This plateau photo already contains all of Agnès Varda"
Entitled La Pointe Short, named after a fishermen's quarter of Sète, this feature film was released in 1955 with Silvia Monfort in the role of "elle" and Philippe Noiret in the role of "him". "Natural scenery, light camera, derisory means: Agnès Varda, photographer at the TNP Jean Vilar, throws with La Pointe Short (presented in a room in the Rue d'Antibes in Cannes during the 1955 Festival) the beginnings of a young cinema which she will be the only director, "recalls the release. Agnès Varda will be the inspiring beacon of the 72nd edition of the Cannes Film Festival! The Short Tip © 1994 Agnès Varda and her children - Editing & Modeling: Flore Maquin. "Like a manifesto, this picture of the set already contains everything about Agnès Varda: passion, audacity, playfulness, the ingredients of a recipe for an artist in freedom that she will enrich all the time," adds the Festival. from Cannes, stating that the filmmaker counted thirteen films in the Official Selection, was a member of the Jury in 2005, president of the Jury of the Caméra d'or in 2013 and received the Palme d'honneur in 2015. With Agnès Varda for "inspiring flagship of the 72nd edition", the Cannes Film Festival will open on May 14, with actor and director Edouard Baer as master of ceremonies and Mexican director Alejandro Gonzalez Iñarritu as president of the jury. The opening film, competing for the Palme d'Or, will be Jim Jarmusch's The Dead Do not Die , with Bill Murray, Adam Driver, Tilda Swinton and a horde of zombies led by Iggy Pop and Tom Waits, promising a climbing steps rock'n roll. 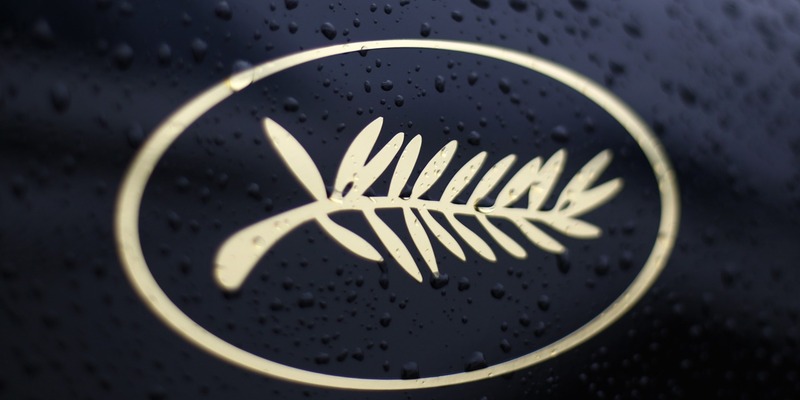 The announcement of the official selection of the other films in the running will be announced Thursday from 11am at a press conference in Paris, by Pierre Lescure, president of the Cannes Film Festival, and Thierry Frémaux, general delegate.